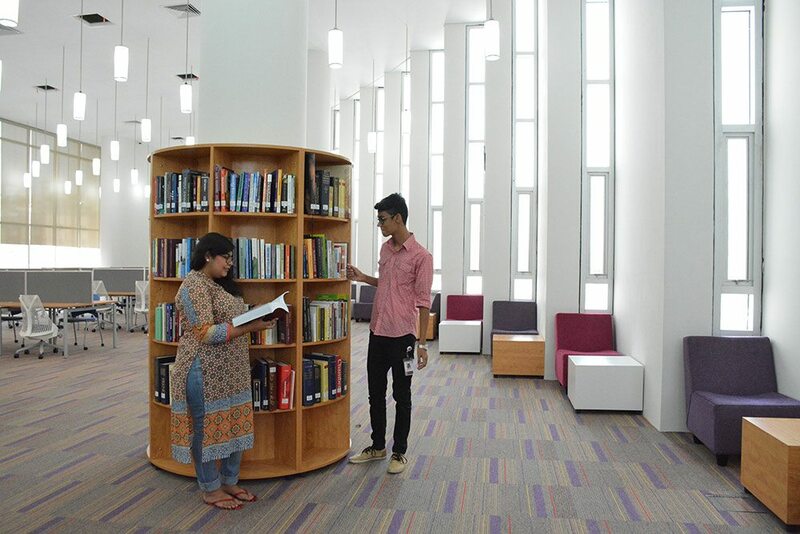 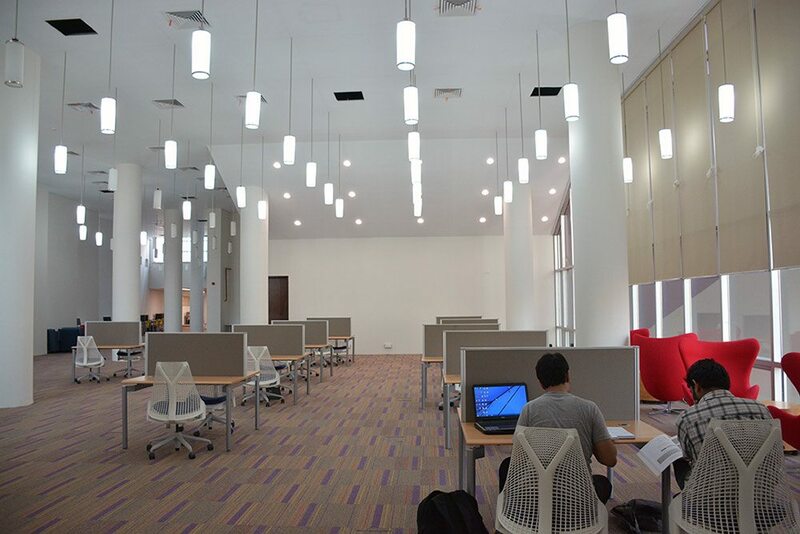 The Library is the center of all intellectual activities, and, as such, is equipped to deal with any query that a member of Habib University might have. 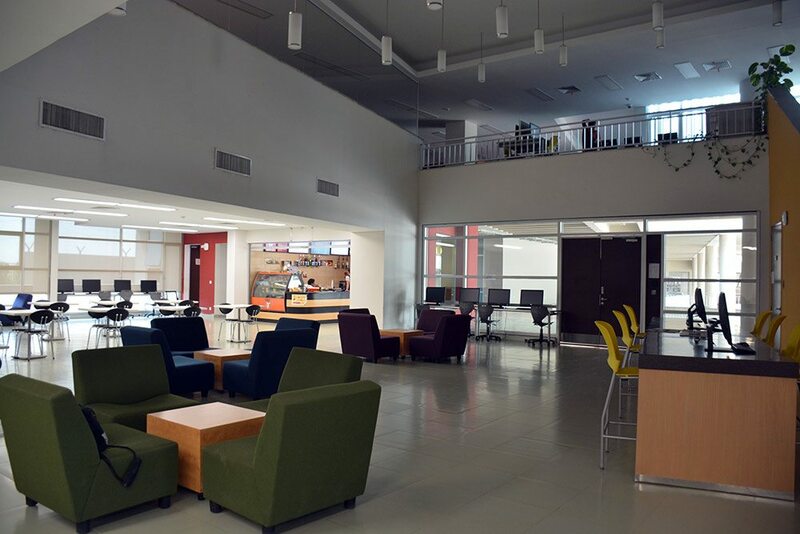 Spanning over 21,000 square feet, it is a semi-public space, central to impacting the lives of the student and faculty as well as the larger community. 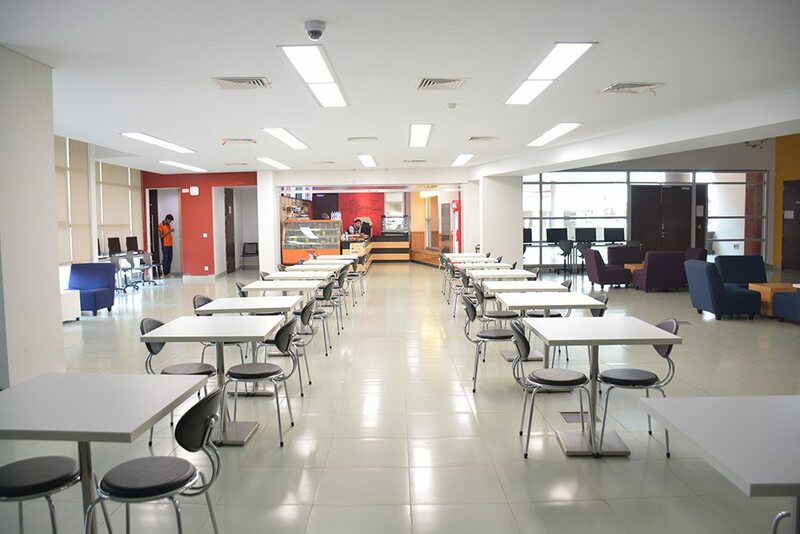 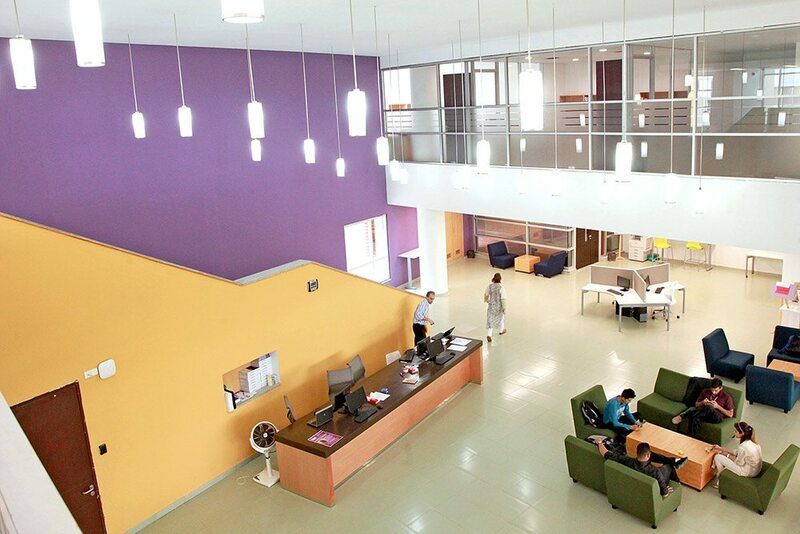 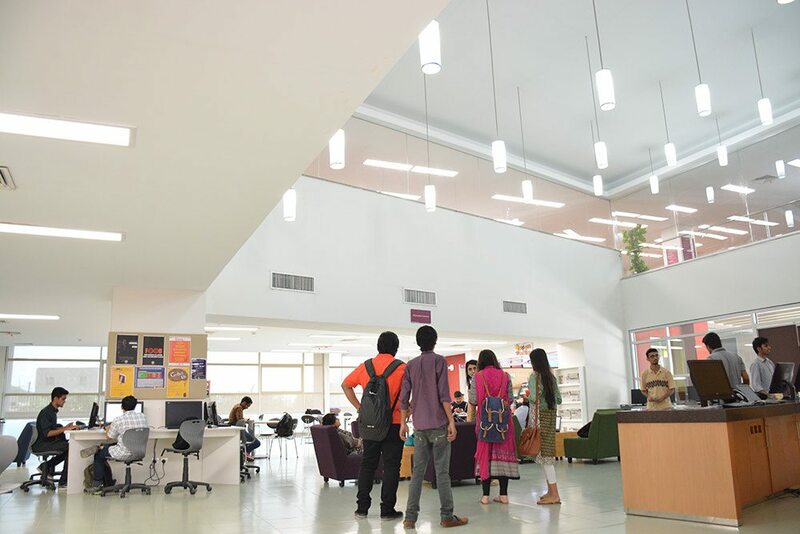 Being vital to the university at large, the library is connected to classrooms, student lounge, a cafeteria, faculty lounge and offices. 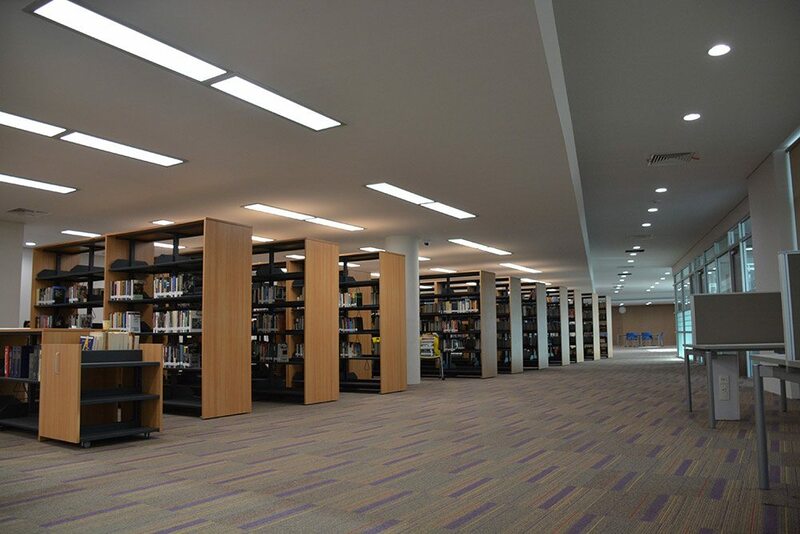 Several librarians are present at all times, and ensure all supporting equipment is ready and functional. 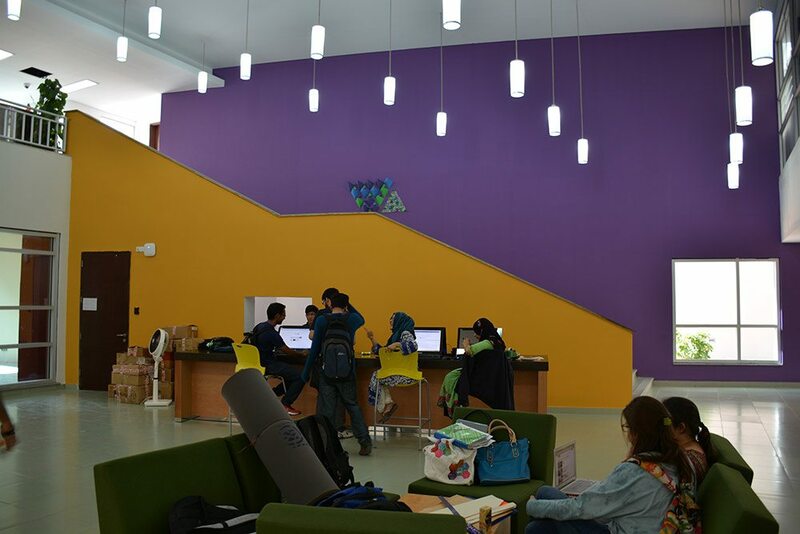 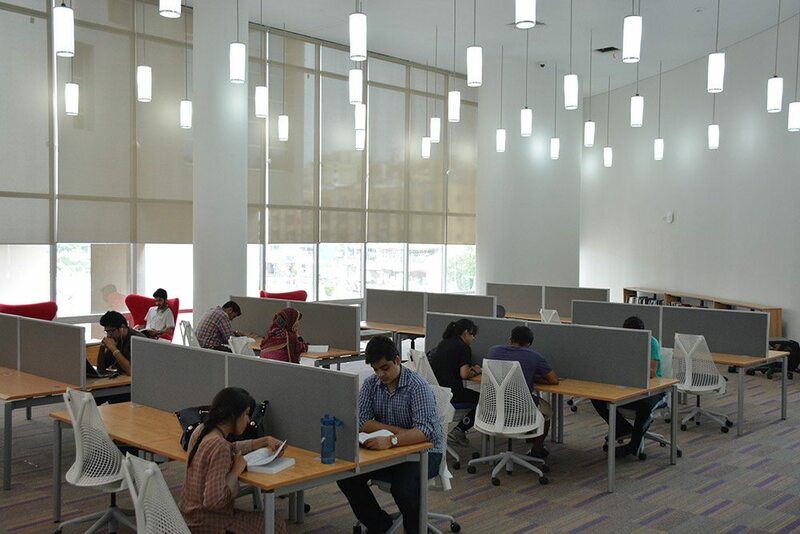 The library has information commons, lounges, discussion rooms, study cubicles, and “quiet rooms” wherein students can concentrate on their learnings.